Amazon announced two new initiatives today that are aimed at reducing its environmental impact. The first is a $10 million investment in the Closed Loop Fund, an effort to pool corporate resources to help the US improve its municipal recycling programs. The other is a solar energy project in the United Kingdom that will see Amazon install 20 megawatts worth of solar panels to help power fulfillment centers across the region. Amazon also signed a deal saying it will purchase enough green energy certificates to ensure 100 percent of all buildings in the UK are offset by renewable sources like solar and wind. It makes sense why, at least domestically, Amazon would be focusing its efforts on recycling: the company’s largest retail sector is North America, particularly the US, and it ships a massive amount of cardboard across the country every day. With the Closed Loop Fund, Amazon wants to contribute to the financing of recycling infrastructures for cities. The company notes in its press release that nearly half of all Americans do not have access to curbside recycling pickup, resulting in countless tons of cardboard and other reusable material getting thrown in the trash and inevitably filling up landfills. In London, which is a European fulfillment hub for getting packages shipped to the rest of the UK, Amazon will work over the course of the next 18 months on deploying rooftop solar panel systems. The company says it will generate the equivalent of 4,500 UK homes in electricity from solar energy, and in the process, it says it will reduce its carbon footprint by 6,000 metric tons of CO2 per year. While these initiatives are needed from a company as large as Amazon, they lag far behind efforts from Apple, Google, Facebook, and Microsoft. The other four members of the Big Five have, over the course of the last decade, all been working toward a 100 percent renewable commitment, which involves making global operations carbon neutral through investments in reviewable energy and the purchasing of green energy certificates to offset grid usage. Both Apple and Google achieved that earlier this year. Facebook pledges that it will be 100 percent renewable by 2020, thanks in large part to its building and maintaining of custom data centers, while Microsoft has been carbon neutral for years now. Other big tech companies, like Samsung and Sony, have followed in those footsteps with green energy works and renewable commitments. Amazon, however, has been criticized by Greenpeace for its lack of publicly available data on energy use, and the company has clearly prioritized fulfillment and data center expansion over a carbon neutral footprint. Amazon’s AWS cloud computing division has a “long-term commitment to achieve 100 percent renewable energy usage for our global infrastructure,” but the company is only 50 percent of the way there as of January 2018. 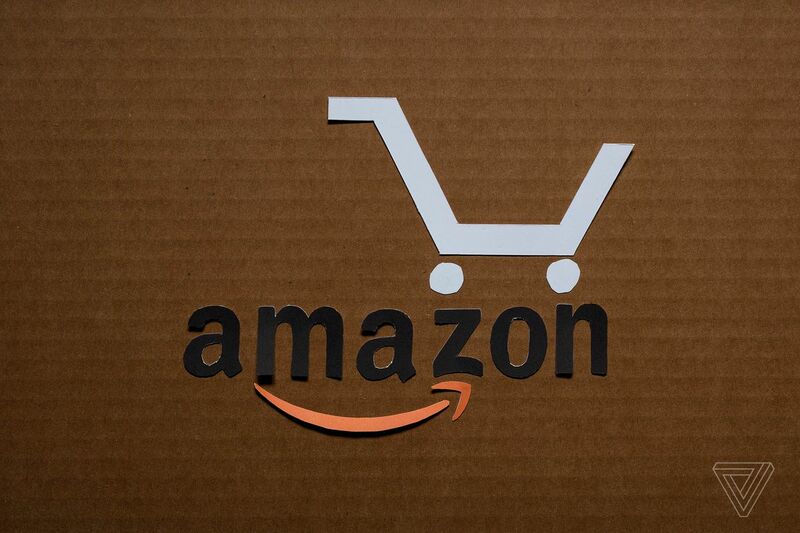 With regard to Amazon’s retail business, there is clear progress being made, particularly around the company’s Frustration-Free Packaging program that incentivizes retailers to reduce the amount of unnecessary cardboard and plastic that goes into product packaging, which also allows Amazon to ship more products in a single box. The company says the program has “eliminated 244,000 tons of packaging material to date” and slimmed down the numbrt of shipping boxes mailed out by 500 million units. Understandably, Amazon is in the game of shipping, logistics, and retail, which is not quite the same as producing software or running search engines and social networks. So it would have a much bigger obstacle ahead of it in the quest to become 100 percent carbon neutral, although the company has yet to publicly commit to such a mission for its entire business and not just its cloud division.